Tour Operator: Gohagan & Co.
Easy: Minimal walking is required. Typically, involves cruising by ship. Suitable for travelers with limited mobility. Optional excursions may require a higher activity level. Moderate: Moderate amount of walking required. Typically, two to three miles a day, often uphill, on uneven terrain and/or with multiple stairs. Requires the ability to board a ship and motor coach without assistance. Active: Extensive walking required. Typically, three or more miles a day, often uphill, on uneven terrain, and/or with multiple stairs. May include optional activities such as biking, kayaking, or hiking and included destinations with high altitudes. Excellent health is required to take full advantage of the tour's inclusions. Highly Active: Extensive walking and intense daily physical activity required. Appropriate for people who lead very active lives. Trip activities will be at a higher intensity and a more vigorous pace and may include activities such as biking, hiking at high altitudes and for long distances, white water rafting, and kayaking. A pre-trip physical training program is highly recommended and strongly encouraged. To fully enjoy your tour experience, it is important to be in good health regardless of the tour's activity level. Please use your best discretion when deciding which group tour is right for you as your ability will have an impact on other participants. If you have any questions, please do not hesitate to contact the UW Alumni Tours office. 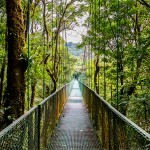 This incomparable nine-day journey travels from the Costa Rican rainforest through the mighty locks of the Panama Canal. Aboard the exclusively chartered, Five-Star Le Dumont-d’Urville, experience a daylight passage through the canal and call at remote island paradises. 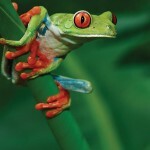 Explore Costa Rica’s terrestrial wonders and tour Panama City. Introducing the extraordinary Blue Eye, the world’s first multisensory, underwater observation lounge. Only 92 Suites and Staterooms—each with a private balcony! 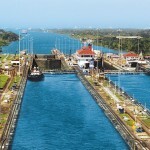 Once-in-a-lifetime daytime passage through the Panama Canal. Complimentary Wi-Fi aboard the ship. Comprehensive cruise/land program—islands, jungle, wildlife, culture and history—all excursions included. Access ports unavailable to larger vessels and an excursion included in each port. Onboard naturalist guides and specially arranged lectures. Visit Panama City’s Casco Antiguo, a UNESCO World Heritage site. Swimming and snorkeling opportunities in pristine waters offer extraordinary visibility and color. Program Itinerary is subject to change. See final brochure for complete details. Cruise rates vary by cabin category. Please see tour brochure for details. 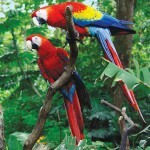 The scarlet macaw is a large Central and South American parrot. Please consider purchasing travel insurance to protect your trip. Learn more. You don’t have to be a UW graduate to travel with UW Alumni Tours! How would you like to get information about our upcoming trips?